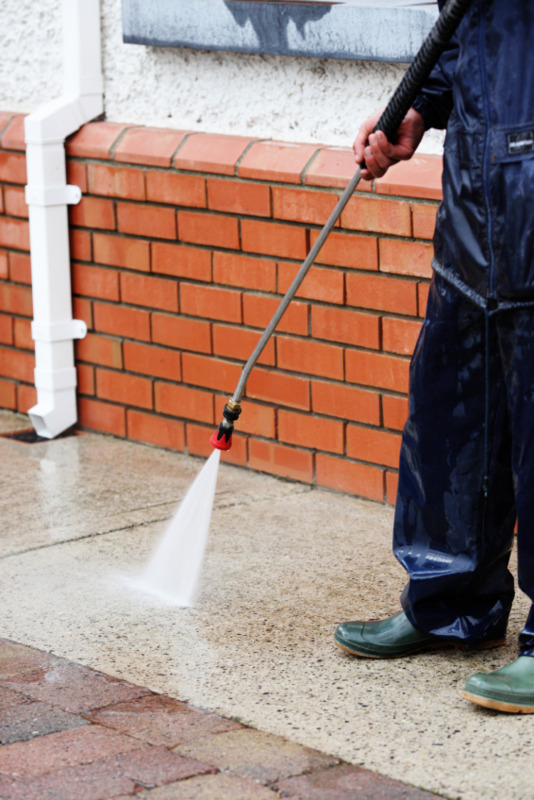 Power washing is usually used prior to any type of recoating, but is can also be used for cleaning only to remove damaging components like dirt and mold on exterior surfaces. This is important, because when dirt is left on surfaces for long periods of time, there is a chance that staining and mold build-up may occur (which can make the occupants of a building sick). Stathakis uses power washing on exterior surfaces like vinyl siding, stained block and cement to remove damaging components like dirt and mold. This is important, because when dirt is left on surfaces for long periods of time, there is a chance that staining and mold build-up may occur. And mold build up (even on exteriors) can actually make the occupants of a building sick. Clean pavement, brick. Power washing can be used to to clean walkways and remove moss and any type of weeds.